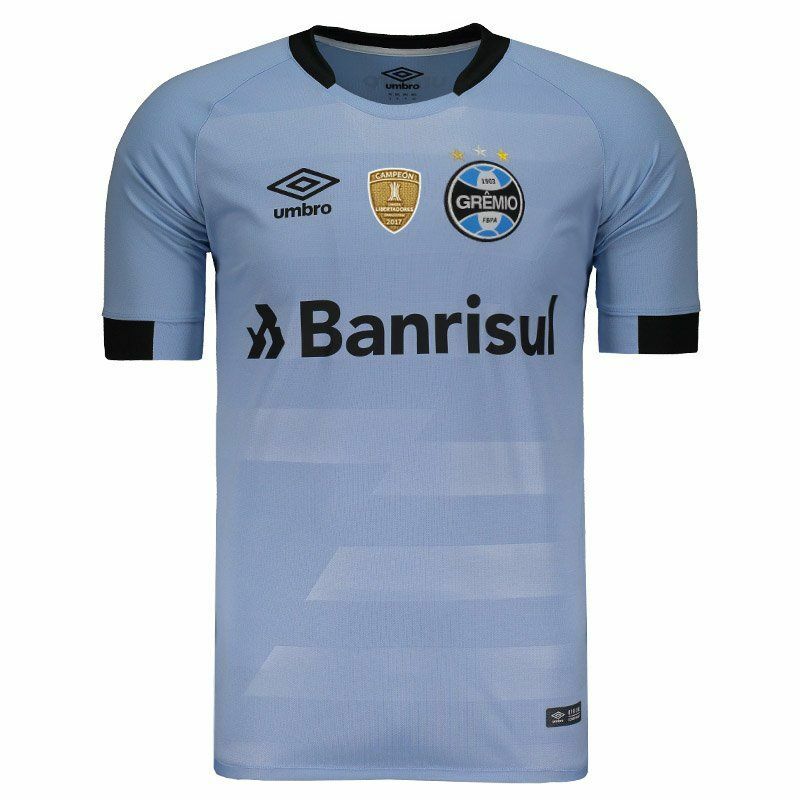 Produced by Umbro, the Grêmio reserve shirt for 2017 brings a patch of the Libertadores champion, ideal for fans to show their love for the Tricolor of the Pampas. The robe can be customized with name and comes with the number 10 embossed on the back. More info. 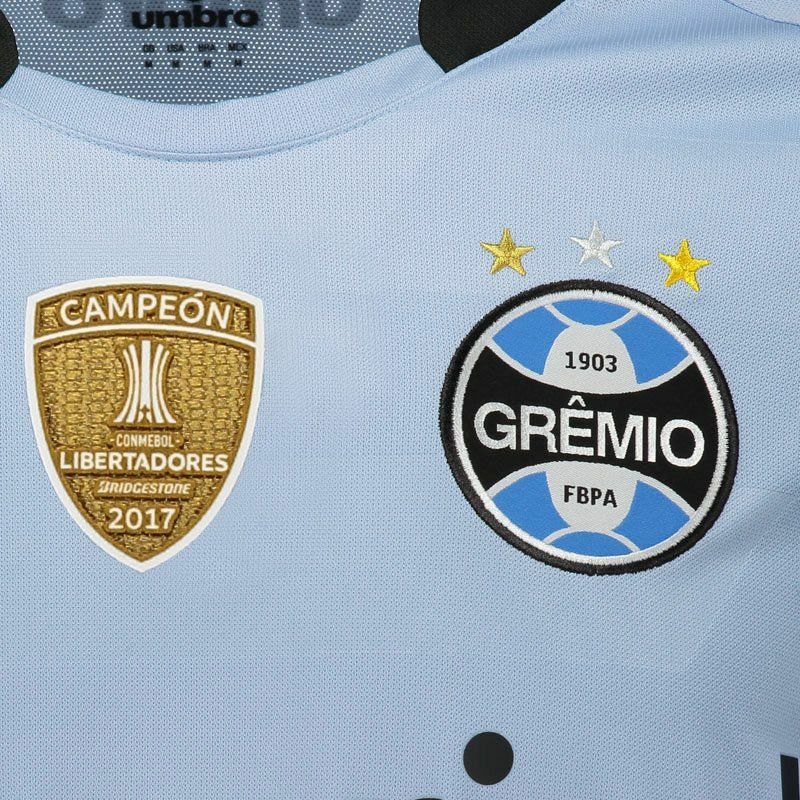 Produced by Umbro, the Grêmio away shirt for 2017 brings the Libertadores champion patch, ideal for fans to show their love for the Tricolor of the Pampas. 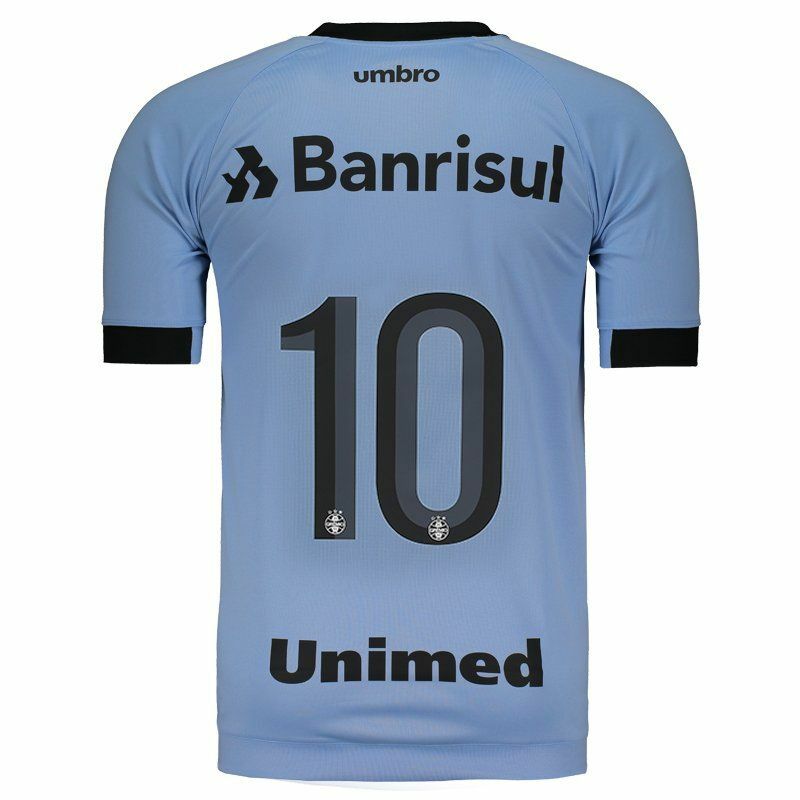 The jersey can be customized with name and comes with the number 10 stamped on the back. Made of lightweight polyester, it has breathable mesh fabrics, making sweat from the body evaporate more easily. Its design is inspired by the 90s and presents the celestial color as predominant. There are still black details on the cuff of the sleeves and collar, which in turn is crew. 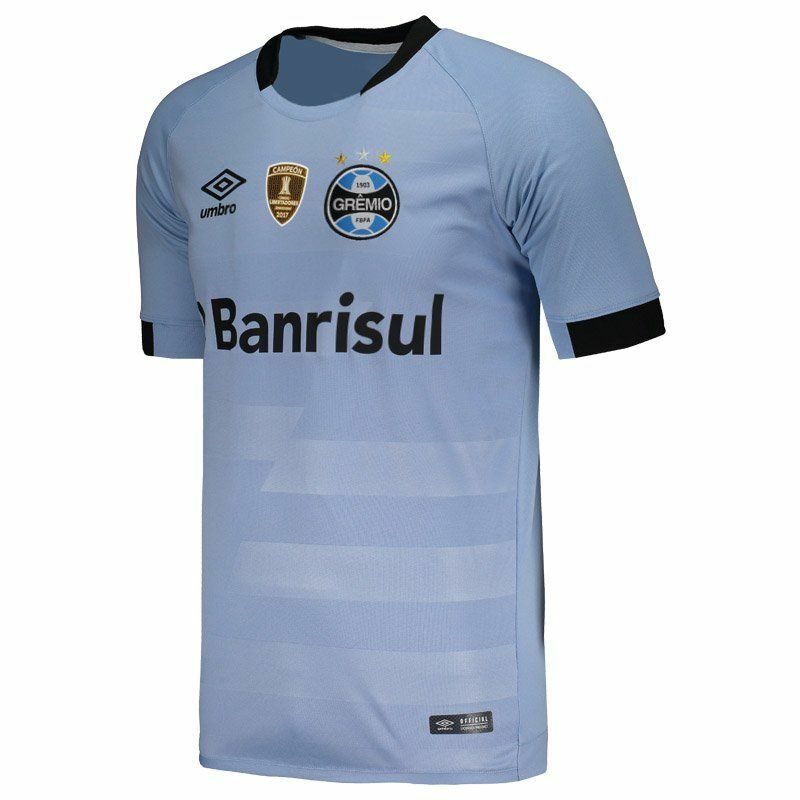 In addition, it features horizontal stripes throughout the front area, as well as the team's badge and the logo of the supplier brand. Finally, team sponsorship complements the details.